The quite connector: UIA is one of the airlines with highest percentage of connecting traffic in Europe! A wave of protests is shaking the Ukraine after its goverment pulled out of an association agreement with the EU...The Ukraine might be at a cross-roads, debating whether it should lean towards the EU or towards Russia, but in the air travel field, at least, things look clearer. It has been overshadowed by the broader geo-political scuffle, but the Ukraine and the EU have already reached an agreement to liberalize the air travel market, which means that there will be open skies between the EU and the Ukraine. The agreement, that is similar to those signed between the EU and other neighbouring non-member countries will remove, from the summer of 2015, will allow EU and Ukrainian airlines to operate freely between the Ukraine and EU member countries. If we are to expect the same that has followed other open skies treaties, we could expect European low cost carriers to move quickly into the new market (in this regard, Wizz Air plays with some home advantage as it has been operating a base in Kiev for already a few years). In order to speak about the new scenario that this agreement represents for the Ukrainian air travel market and in order to get the pulse of the Ukrainian airline industry I went to see Richard Creagh, an Irish man that is executive advisor and former deputy president at Ukraine's largest airline and flag carrier: Ukraine International Airlines (UIA). "Open skies mean little without a visa agreement", Mr.Creagh is clear on this point. Indeed, while European Union citizens do not need a visa to visit the Ukraine, Ukrainians do need to apply for one if they want to travel to the EU. This factor alone has deep implications for the Ukrainian air travel industry, as it limits its growth potential. According to Mr.Creagh in the medium to long term air traffic in the Ukraine could grow two to three times faster than GDP. At the moment traffic stands at 14 to 15 million passengers a year, which, in a large country of 45M people, stands as an indicator of the still relative underdevelopment of the air travel market. Another effect of the visa barrier is the strong focus of Ukrainian leisure carriers on countries such as Turkey, Egypt or Thailand, that do not have visa requirements for Ukrainian nationals. 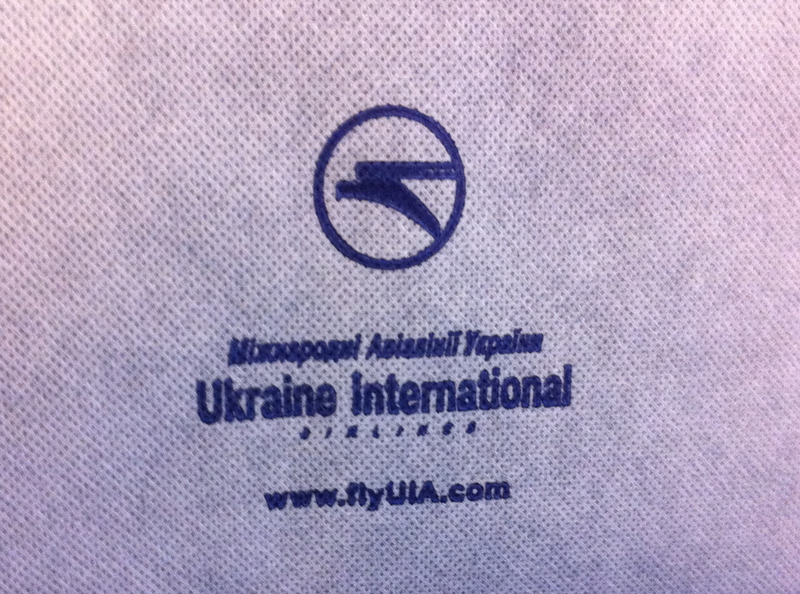 As current political tensions highlight, the Ukraine has traditionally been a land torn between East and West, but what came as a revelation to me is up to what extent UIA is leveraging this geographical factor to quietly build a considerable hub operation at Kiev Borispol airport: I was stunned to learn that 40% of UIA's traffic are connecting passengers. UIA focus is on connecting Western Europe with destinations in Ukraine, the Russian regions and the former Soviet Union. The challenge in this market is to position Kiev Borispol as a convenient alternative to Moscow, the traditional conencting point for this type of traffic. In this regard, and as a side note, I must say that my experience as a passenger in newly renovated Borispol airport was quite satisfactory.. This is a specialisation that is going to take a whole new dimension as the Ukrainian flag carrier leases Boeing 767s for long haul operations. It has already received two of them and is starting flights to Bangkok. Two more Boeing 767s are due in Kiev in the Spring, UIA is then going to launch new routes to Beijing (UIA is going to operate 6 flights per week to the Chinese capital), New York and Toronto (with Chicago, a city with a large population of Ukrainian descent, likely to follow later on). These leased Boeing 767s are, admittedly, not the most modern aircraft out there, but they are a reliable cost-efficient solution until UIA decides on longer-term options for its long haul fleet (it is evaluating the addition of either Boeing 777s or Airbus A330s to start operations after 2015). UIA's Boeing 767s have had their cabins have totally renovated under UIAs specifications in a three class configuration, business, economy premium ( a first for UIA) and economy. UIA is also adding new Boeing 737NG to its fleet (it already has 12 of them as well as 5 Embraer E190s) although Mr.Creagh remarks that it is not just about replaciong the Boeing 737 Classics it currently has in the fleet (Boeing 737-300s and -500s) but also about growth. Despite its leading position in the Ukrainian market and its amazing 65% increase in number of passengers in the last year (helped in part by the demise of its main competitor Aerosvit), UIA is facing some important challenges, some of them not unlike those faced by other full service carriers elsewhere in Europe, such as the downward pressure on prices, something that is likely to intesify if European low cost airlines start entering the Ukrainian market "en masse" following the Open Skies treaty. The Ukrainian market has already seen the arrival of new airlines in the last few years: Wizz Air has set up a subsidiary in Ukraine that operates out of nearby Kiev's Zhulianyi airport and Russian airline UTair is also developing its own operation, not only to feed its Moscow hub, but also operating domestic and charters flights in the Ukraine. The air travel market is ultimately driven by price. As Mr.Creagh puts it, "we are not naive, ultimately it will all come down to being super competitive in our cost structure", even business travelers are cost consciuous nowadays (business class traffic represents about 5% of UIA's traffic). The effects of competition have already been felt on the Kiev to Moscow route (the largest market so far out of Kiev), where, at the last count up to 6 airlines where comepting, with the corresponding low fares. Add to that he potential arrival of new foreign low cost carriers on Western routes (for example, Vueling has already announced the opening of routes between Barcelona and several Ukrainian cities) and Middle Eastern carriers siphoning traffic out of Kiev to their own hubs and the squeeze can be considerable. Consolidating UIA's position as a connecting airline is also key and a factor that can give it an edge over competitors focused on point to point routes, Mr.Creagh points out at how competitors have found it difficult to rely only on point to point domestic traffic, to the point that UIA has 2/3 of the domestic Ukrainian market. This figure represents only represents about 15% of UIA's total traffic, though, which gives a measure of the relatively small size of the domestic market (it must be factored in that train tickets are subsidised in the Ukraine). 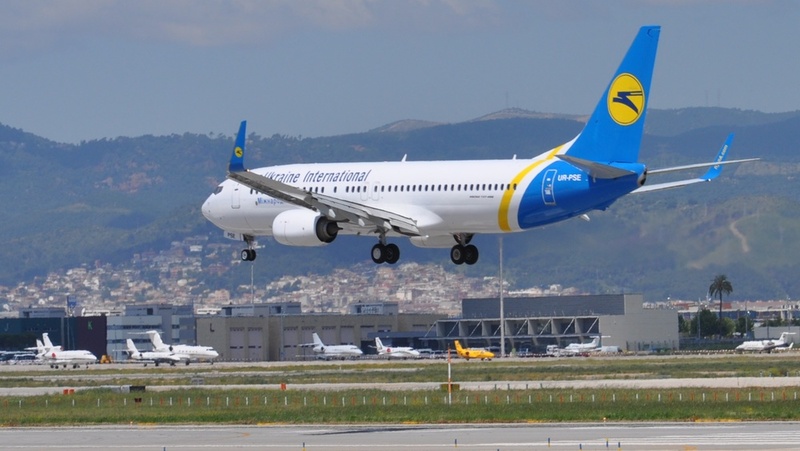 So, UIA has devoted consderable effort to optimize its operations and concentrate resources on this East-West connecting role, for example organizing its schedules so that it can have two waves of arrivals and departures at Kiev Borispol. It looks like whatever direction the Ukraine finally takes, Ukraine International Airlines, is firmly positioning itself to make the most of its location at the crossroads between East and West.